So you’ve found what looks like the perfect home on paper – perfect location, good exposure to the sun, ‘good condition’ (we all have very different ideas of this last point! ), but wait… are you really ready to buy? In Italy, you have two choices – buy directly from the seller, in which case you will just need a solicitor (Avvocato) to make the transaction official. This option to me is way too risky as you have nobody to ask the important questions. The Avvocato only really checks the information declared and records the transaction in the equivalent of the land registry and ensures monies are transferred correctly, so you are left far too exposed should any problems arise. The second option is to use a registered estate agent (Immobiliare) 1€ .Now it is possible to use an intermediary such as an English speaking property finder. I don’t have a problem with that – certainly if you are short of time and don’t speak a word of Italian, it would be a great help. But let me make one thing very clear – In Italy, only registered Immobiliare are allowed by law to negotiate property transactions and are accountable for the advice they give. Much better suited to the role than some UK agents or property finders working alone who will simply show you a property and hand you over to a solicitor whilst taking a substantial commission – to a purchaser, in Italy, a good agent is more important than the solicitor as they too have a similar working knowledge of the laws, and more importantly act for you, not the seller. This last point is important. If you find an agent you can trust and communicate effectively with, don’t let them go. An agent can act on your behalf for any property you find – whether it is for sale with them, another agent or a private sale – they are your wing man (or woman). Be careful here – if you are lucky enough to find such a trusted ally, but approach another agent directly, you may end up paying two lots of commission – better to let your wing man make the enquiries for you. 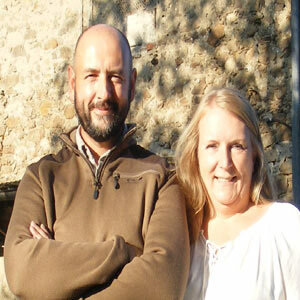 We were lucky in finding the perfect agent for us – Tommaso. He speaks very good English and was very open in answering all our questions. I’m not sure Tommaso felt as lucky in finding us as we were in finding him as we really were difficult clients (in true Italian openness, he even told us so … I quote ‘you are the most difficult and suspicious clients I have ever had’). Not that we are difficult or suspicious (well perhaps a little) – we did do all the legwork of finding our house, and we did (eventually) trust everything he told us, it was just that we like to understand everything we do and why. So with new laws, language, local customs etc., we had a lot of questions. But Tommaso patiently answered them all and to his credit made it possible for us to ever commit to buying. Similar to Scottish law, when you make an offer on a property here, it is legally binding – and at this stage it is just a letter sent by your agent from you to the seller – so you had better be sure you trust your agent to have your back! We have heard of some cases where purchasers have trusted an ‘unregistered agent’ to handle their offer which has left them in real problems – houses not registered, boundaries not as expected, ownership problems etc. You have been warned! Many older rural properties – even ones in good, seemingly habitable condition are not registered on the land registry (Catasto). As such, in order for it to become a home in which you can officially live, you have to pay to register it – this varies from area to area, but will run into the thousands! 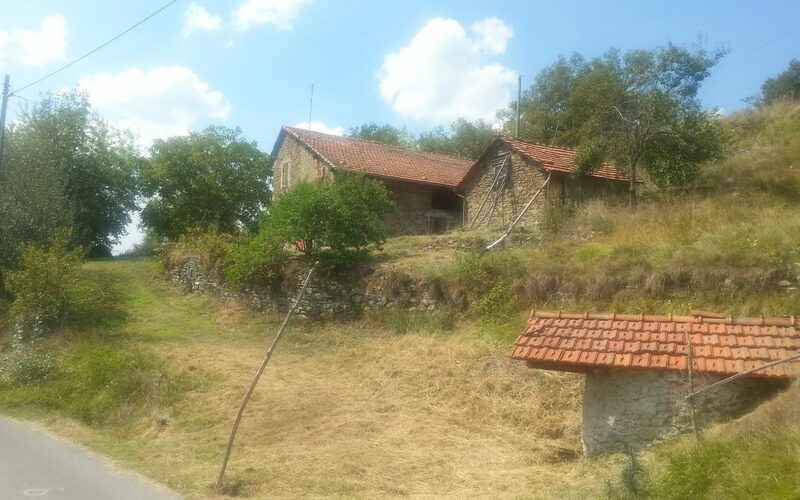 One such property on the market for €100,000 we looked at within a National Park would have cost us over €15,000 just for the local Comune to recognise the property exists – this is in addition to any planning applications you may want to put forward. And there is no guarantee that the Comune will allow it to be registered, so be sure to ask before making any offer! Farmland is important to farmers. Obviously. But if you are buying farmland with your home, any registered farmers (coltivatore diretti) with land adjacent to yours have first refusal at the price you are offering. If you do not get in writing that they have been given this opportunity and turned it down, they have up to ten years to claim it back from you! Tommaso actually visited each relevant neighbouring farmer in person to ensure we got the correct replies – now that is a good wing man! All homes have a right of access. This means you have the right over your neighbours land if there is no easy alternative (we struggled over this one for a long while as being English, we wanted to own all the land leading to our house – it just isn’t that important to Italians – but for us, it was always going to be a sticking point). On the opposite side of the coin, this right of access also applies to others over your land – if there is an easier way that goes right in front of your kitchen window – it can become a right of access. So think carefully about how the land around your home lies – you don’t want your neighbour driving his tractor passed your window at 5am! Also, everyone has a right to roam over your land – including hunters with guns and dogs, and anyone in possession of the right permit can forage for mushrooms on your land – so get up early if you don’t want to lose those prize winning porcini at the back of the house! Planning permissions can be very different here. Don’t assume just because you have outbuildings that they can be converted to habitable use or that area perfect for a pool will be approved (and taxes due). You can’t fence off areas of your land just to keep people out – you need a better reason such as keeping livestock protected. And just about any alterations need approval – even a patio or a little wall. Don’t assume … ask your agent, it is what you are paying them for! Check the categories of land you are buying – not all farmland is the same. You may be fortunate to have an area classified as a vineyard (vignetto) or fruit trees (frutetto), but you will pay higher purchase taxes as the land’s potential to earn is higher. There may also be restrictions as to what you can or can’t grow there and definitely what can be built there. Incidentally, if you are intending on actually farming your land and earning an income from your produce, it may be possible to register as a local producer (coltivatore diretto) and pay less on your purchase taxes 2€. So now that you have all the information to hand and you still want to buy, the next stage is for you to make your offer whereby you state what you will pay and any conditions you may have such as timescales, items of furniture you want etc. – everything that would normally be listed in a UK contract, and a promise of a deposit which you will need to give to your agent to hold until the offer is accepted – usually around 10%, but everything here is negotiable! It is usual/advisable to also put a time limit on your offer – we gave ours two weeks. If they have not accepted or rejected your offer within this time, the offer is cancelled. Imagine making an offer without a timescale and the seller deciding to accept your offer a year later when the housing market has collapsed – you would at least lose the deposit you promised! At this point I should note that the usual thing for foreign buyers is to also appoint an official translator to translate the contract into your language and help at the final meeting – did we do that? No sir! I actually don’t think with my ‘suspicious and difficult nature’ I would have trusted one anyway, so we requested a copy of the final contract a week before completion so we could translate it ourselves, badger Tommaso with a load more questions and be fully confident in what we would be asked to sign. It wasn’t actually that bad as it mostly confirmed everything we had put into our original offer, plus confirming the boundaries of all the parcels of land we were buying. December 16th 2015 we went to Stefania’s office with Tommaso, his father (who started the agency), the seller and her husband, their agent and someone else who we think also worked with their agency but we didn’t quite catch their name/role – it was all a bit of a blur to be honest. The signing of the final contracts is quite an official occasion – Stefania’s offices are very smart with oak panelling, a huge table surrounded by glass display cabinets with encylopedia’s of law – we think this room is just for such occasions as all our other meetings were in a different room, and we had to take our shoes off (only kidding, but it was a smart affair). After a few tears from the seller who was selling the home her mother had been born in and whose father had built, we assured her that we would take care of the house (la teneremo bene), we listened intently as Stefania read every word of the contract out loud, only stopping to answer yet more questions from us (everyone else seemed very relaxed and just went with the flow – we however are not so Italian yet), before we all signed the relevant pages and handed over our money! Contrary to popular belief, this is not done with a briefcase stuffed full of used notes and a couple of Rolex watches – it was a cheque from the bank 4€ and the house was ours! *the links in red ( x€ ), will open the Project Costs page which I will add to throughout the project. This info is restricted to registered visitors only, so do please register when prompted to, and you will also be added to the subscribers email list so you won’t miss a post either.